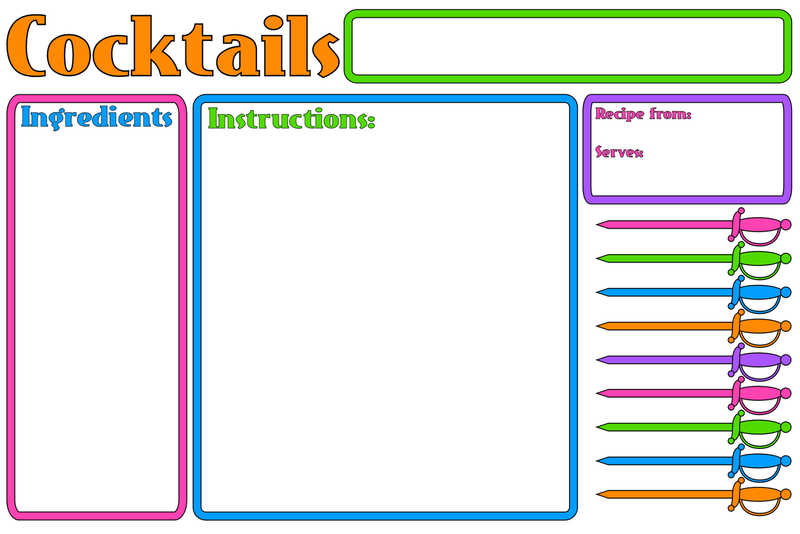 I haven't done recipe cards with fillable forms in a while. If you don't know, a pdf with fillable form fields allows you to type in the forms and can be enabled to save what you've typed. 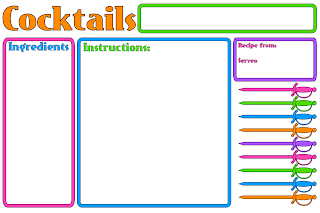 So for this recipe card set, you can download the PDF, type in the ingredients (1 per line), type in the instructions, the recipe from and serves part and the title of the recipe, then save it or print it and cut it apart following the crop marks that are on the document. Or if you prefer, you can just print the PDF, the light blue form fields you'll see in Acrobat won't show on the print. Download the recipe cards HERE.